this clue has been bugging me. eleven seems too obvious? what about eyelet, evener or evened? i'm sure there may be others. after seeing the new clue with eleven letters, i'll go with eleven then. HAS NO ONE READ MY CLUE YET? IT MIGHT BE A BIG BREAK? GUYS! I HAVE A SHOCKING NEW CLUE WOW! Also, the LVN is most likely used to fill out the E_E_E_ clue which when filled in. It is the word ELEVEN. yes the journal said 11, but it could correspond with many 11's. 11 in intro is craig. 11 over the falls, Mark. 11th around the table could be a number of folks depending on where you start. 11th chair at elimination. as for the comment about sleeping, Mark mentions that they could be having to stay there overnight before craig responds. If anything, Mark's the mole because of that. i do agree there are a ton of clues for craig being the mole, but many of the clues for him, can also be applied to other contestants as well. it's all about perception. Mark says that "you guys gotta realize that we could end up staying here" I think he meant that no matter if they doubt if they were staying in the game, and not where they were going to sleep. The text clue was "Heart". I'm pretty sure Yonkers Paul said something about Bobby having no heart, but going along with THIS theory Liz, the newest executee was wear heart earrings. I think. I'm pretty sure during the quiz she was wearing Heart hoops. Going to look for hearts now! 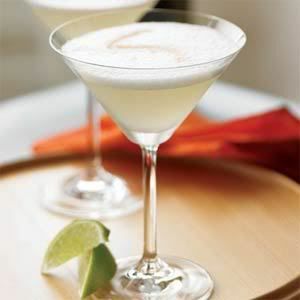 So what's with the Pisco Sours?? ok, I am so new to this. I watched the Mole before when it was on but did not know that there was so much discussion about the clues or that there were so many clues. I don't know how you guys find all these clues or where they come from. I watch it, I rewatch it and most of the time I miss all this stuff unless I come on here and read it. Welcome to the forum twilightz0ne , I'm not sure that I can help but you can start here for the clues . I'm not good at spotting the clues either so don't feel bad. And then hang around here --our team is good! ooo nice catch on the Heart earrings. Funny how we have a "Find the Mom" clue (i don't think that's a real clue but that's me) and in 2 eppies, both moms are executed...followed by Craig saying that Liz was like a mother to all of them. also notice that Craig gets the final comment of every episode? Eppy 1 he said that the wrong person should have gone, it should have been Nicole. Then tonight's eppy, he made the mom comment. 11th person in intro was Craig. After going over the waterfall Craig said: "the rope just goes taut and chokes me like a hanged man. On the boat on the way to the island for scavenger game, Craig is in the very front of the boat with his arms stretched out like in the movie Titanic. During the scavenger hunt game, the host mentioned that Robinson Crusoe was based on Alexander Selkirk. If you google that name you will find that his name at birth was Alexander Selcraig. Pretty big coincidence there. And don't forget who brought over the big sign that said someone was going home that night. Craig. Everyone was on Bobby for being in the wheelbarrow (where he never should have been at all) but it was Craig that suggested it. In his confessional thing Craig says: I noticed Bobby limping so I told him to get in the wheelbarrow. At all other times in both episodes, Craig has been wearing his glasses, but he did not have them when they arrived for the pig challenge and did not have them the entire time. He did have them back on later though. Maybe they are just clear lenses and doesn't really need them? This could be lying with his eyes. I haven't went through the second episode good enough yet to have any ideas about the new clues but hopefully I will be back to post something. To RFF: Knuckles, twilightzOne, and guacaMOLE! Knuckles - your Triple E theory litterally made my jaw drop. I never thought of the hangman aspect of the clue, and you're correct! That is, if Craig is the Mole. And I am absolutely convinced he is the mole now. And good job at the Titanic clue! Just a casual watcher here for now...will probably change soon though. Unfortunately, I did miss the first Ep. Why is it that the back row is all males, and the front row is all females, except for the one pair that have switched? I have no clue though--unless they put the taller ones in back? knuckles - great catch on the glasses. Folks have thought the lying with my eyes clue was Craig simply cause he wears glasses but i thought it was a huge stretch. Your explanation, however, makes total sense! I wear glasses and there is NO way that on a challenge like directing a piggy to a spot in the distance would i *ever* go without glasses. Unless he needs his just for close up things and he's ok with distances, i can't see him *not* needing them. someone on another website mentioned another clue about craig but i want to verify it for myself this aftrnoon when i re-watch the show before i mention it. If it's true, that's another nail on the coffin for craig being mole. i really hope he's not though. I hope he's just a wannabe mole so the viewers don't have it figured out so soon. New here. What a coincidence, I also think Craig is the mole. It seems really obvious, but the text clue of "heart" is mentioned in Craig's bio on the website. It says, "He is a lovable prankster with a big heart, and his magnetic personality has gotten him through life." Oh and does anyone know what time the first texts were sent? I signed up for them after the 1st episode so I didn't get the first ones. The times might be important. They sent the original "heart" one at 3:00 PM, then the one today at 1:00 PM exactly. EDIT: I'll see how this plays out next week, but if it spells ELEVEN, maybe the L, V, and N are clues to something else...like the order of people being eliminated. Liz..Victoria...Nicole?? As for the ABCBBACCBCA clue, I don't think it corresponds with quiz answers as questions 3 and 8 only have two possible answers yet they are C's in the clue. I attempted to apply it to the ransom note, but it only had 9 lines and it didn't spell anything. I looked at the start and end letters of each line and they didn't either. I know in other seasons, notes have usually held clues. I think the Titanic clue has me thoroughly convinced that it's Craig. They only showed him doing it for a second and if you weren't looking you would've missed it.